Welcome to the November 28, 2018 edition of ACM TechNews, providing timely information for IT professionals three times a week. The U.S. National Aeronautics and Space Administration (NASA)'s new Mars lander will begin investigating the planet's interior several months after Monday’s touchdown. 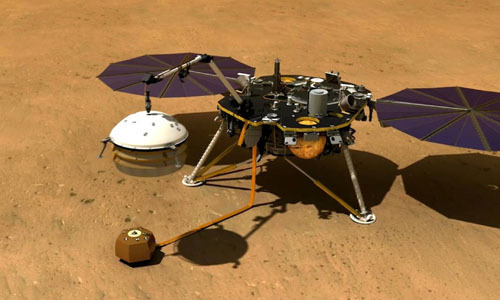 The Interior Exploration using Seismic Investigations, Geodesy, and Heat Transport (InSight) lander will need that much time to deploy and calibrate a burrowing heat probe and a suite of highly sensitive seismometers. This equipment must be precisely placed on the surface by InSight's robotic arm, which will be a first for a Mars lander. In the coming weeks NASA scientists will study the landing site, deciding on the best deployment area before practicing deployment on a testbed lander at the Jet Propulsion Laboratory (JPL). The robotic arm will execute three placements, as it will cover the seismometer suite with a shield to protect the instrument from wind and temperature fluctuations. General Motors (GM) has promoted the announced shutdown of its Oshawa plant in Canada as a move toward transforming its operations with technology investment. The automaker said it will allocate twice as many resources to electric and autonomous vehicle programs, with an emphasis on "virtual tools" to cut development time and costs, bringing higher-quality products to market faster. Said Western University's Mahmood Nanji, "More and more companies have been paying attention to the notion of a connected car." He also said automakers are making transitions like this to stay competitive, as well as in response to demand. According to GM's Mary Barra, the rapidly changing industry is being driven by advancements in propulsion, autonomous driving, and connectivity via software, requiring the company to upskill its workforce both for the present and the future. Alastair Muir, head of safety at the U.K.'s air traffic control body, said new technology is necessary to manage the threat posed to aircraft by the increasing use of drones. Existing technology allows for the detection of drones in controlled airspace, and air traffic controllers prioritize safety over business disruption. Muir said new technology is needed to ensure drone safety was "fit for the future." Separately, the International Organization for Standardization published the world's first draft standards for the drone industry. Once adopted, the standards are expected to play an important role in guiding how drones are used safely and effectively. In July, the U.K. established new rules to ban drones from flying within one kilometer of U.K. airports in an effort to prevent collisions with airplanes; the rules also restrict drones from flying at altitudes above 400 feet, and violators could be punished with unlimited fines, five years in jail, or both. 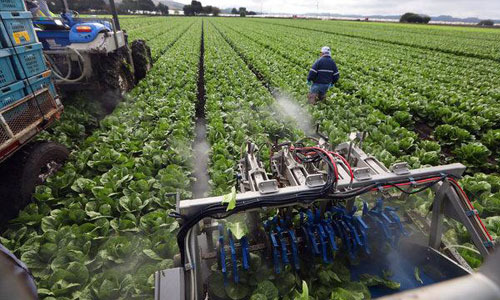 In response to the diminishing supply of immigrant labor, the U.S. agriculture sector is increasingly turning to robots that can do the work traditionally done by humans. Taylor Farms, for example, one of the world's largest producers and sellers of fresh-cut vegetables, recently unveiled smart machines that can assemble 60 to 80 salad bags a minute, double the output of a human worker. Driscoll's, meanwhile, has invested in several robotic strawberry harvesting start-ups, including Agrobot, which uses imaging technology to assess a berry's ripeness before it is harvested. Last spring, Christopher Ranch began using a 30-foot-tall robot to insert garlic buds into the sleeves in which they are sold. While it remains difficult to replace the human eye and hand in handling delicate produce, further use of robots and other technology is "a long-term solution that must be pursued with vigor,” said Tom Nassif, president of Western Growers, a large agricultural association that two years ago opened an innovation center to nurture agricultural technology start-ups. 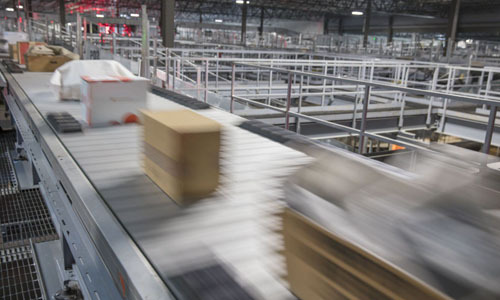 Global logistics company UPS has developed an online platform that combines machine learning and advanced analytics to allow engineers to view activity at its facilities around the world and route shipments to those with the most capacity (while avoiding areas being hit with bad weather). The engineers also can use the Network Planning Tools app to see details about the packages in transit, including their weight, volume, and delivery deadlines. The app uses artificial intelligence to create forecasts about package volume and weight based on analysis of historical data, and its algorithms also analyze decisions the company's engineers made and assess how they affected customer satisfaction and internal costs. Said UPS' Rob Papetti, "[The app] starts to learn from itself and suggest this option versus that option, based on what enabled us to give our customers better service." Apple is launching a free two-week app development camp to provide female entrepreneurs the opportunity to receive one-on-one programming assistance from company engineers, and attend sessions on design, technology, and App Store marketing. Companies eligible for Apple's "Entrepreneur Camp," slated to begin in January, must be founded or directed by women, and have at least one female member on their development team. Android-only companies could use the program to become better acquainted with Apple's ecosystem and get support directly from the technology's creators, while Apple could benefit by increasing the quantity and quality of apps created for its store. 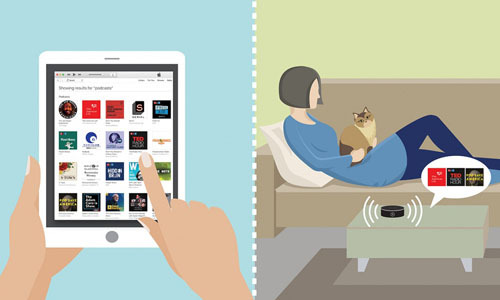 Cornell University researchers investigating the wider ramifications of content discovery with smart speaker products found people who read choices online digested information nine times faster and explored at least three times as much as those who heard them listed by a Siri, Alexa, or similar product. Recommendation algorithms generally prioritize popular content, with people who read their recommendations less likely to select the most popular or top-rated options. Said Cornell's Longqi Yang, "With these devices becoming more popular and more people adopting them, this kind of interface becomes very important, because it's one of the major channels for people to be exposed to information." Yang said these devices could be redesigned to meet this challenge; his team recommended that smart speakers offer top-ranked choices that are diverse, personalized, and frequently changed, giving users access to a broader range of information. These findings were presented at the ACM Conference on Recommender Systems (RecSys 2018) in Vancouver, Canada. Microsoft has updated its Quantum Development Kit, providing developers with an enhanced Q# coding language experience via deeper integration with Visual Studio and Visual Studio Code and a wider-ranging quantum chemistry library. Among the kit's new features are live feedback as developers type, and errors highlighted by underlining and warnings. The augmentations also unify how developers program common operations, like iteration over arrays, which can make coding in Q# faster and easier. The chemistry library is designed to broaden the kit's capabilities for developing quantum models in chemistry in many disciplines, like drug discovery, development of pigments and dyes, and synthesis of catalysts for industrial processes. The library will enable users to investigate quantum algorithms for real-world applications in computational chemistry, including Q# implementations of methods for Hamiltonian simulation, various samples to help users get started rapidly, and integrations with NWChem, an open source, high-performance computational chemistry software package. The latest iteration of the biannual Top500 ranking found China has increased its domestic supercomputer installations to more than twice those found in the U.S., with 227 Chinese deployments versus 109 in the U.S. China's global sales of its Lenovo supercomputers also rose significantly, with American companies outside the U.S. among that firm’s largest clients. Top Chinese supercomputer researcher Depei Qian outlined the goals for China's first exaflop-capable supercomputer, with three prototypes currently deployed and expected to be operational in two to three years. The U.S., in comparison, is constructing only one such system on the grid, at the U.S. Department of Energy's (DoE) Oak Ridge National Laboratory (ORNL). 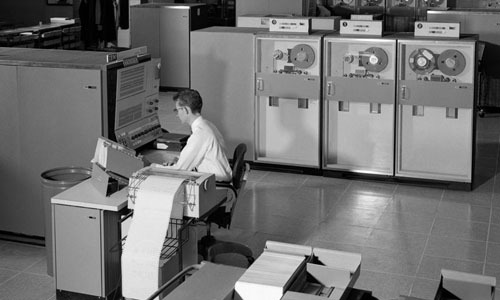 However, the U.S. still has the fastest supercomputers on the Top500, with ORNL's IBM Summit at the top of the ranking, and IBM’s Sierra machine at DoE’s Lawrence Livermore National Laboratory in the number-two slot ahead of two Chinese systems. Stanford University researchers have developed an electronic glove equipped with sensors that could give robotic hands human dexterity. 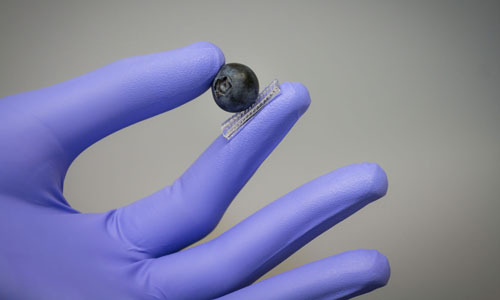 The team found the sensors in the glove work well enough to allow a robotic hand to touch a delicate berry and handle a ping-pong ball without damaging them. The sensors simultaneously measure the intensity and direction of pressure; the glove mimics the way layers of human skin work together to give human hands their sensitivity. Each sensor on the fingertip of the robotic glove is made of three flexible layers that interoperate; the top and bottom layers are electrically active, with a rubber insulator in the middle. According to Stanford's Zhenan Bao, with proper programming, a robotic hand wearing the touch-sensitive glove could perform a repetitive action such as lifting eggs off a conveyor belt and placing them into cartons. Journals are starting to embrace artificial intelligence tools that automate peer review to enhance the process, improve the quality of published papers, and save reviewers time. Elsevier's peer-review management system last summer adopted StatReviewer, which checks the soundness of statistics and methods in manuscripts; StatReviewer reportedly can assess statistics in standard formats and presentation styles from multiple scientific fields, checking that manuscripts correctly include sample sizes, information about blinding of subjects, and baseline data. Meanwhile, the ScholarOne peer-review platform, which analyzes manuscripts via natural language processing and machine learning, is partnering with Denmark's UNSILO, which extracts papers' main statements through semantic textual analysis. UNSILO then identifies key phrases most likely to be claims or findings, abstracting study results for editors while also highlighting any claims' similarity to those from previously published papers. Experts agreed such algorithms are not yet capable of allowing editors to accept or reject papers exclusively on the basis of the information they extract. In a study to assess the energy impact of smart technology in cars, researchers at the Stevens Institute of Technology found a potential fuel-cost savings of $6.2 billion. Said the Institute's Yeganeh Hayeri, “That translates to between $60 and $266 in the pocket of car owners every year, not to mention additional savings created for each driver due to more smoothly flowing traffic, fewer accidents and aerodynamic efficiency of all other vehicles on the road.” Hayeri said knowing when and where congestion will build “can help drivers avoid the stress of sitting in traffic,” She added, "We hope to use this information for improving future transportation, and consequentially improve the environment, save lives, and keep the air we breathe cleaner." 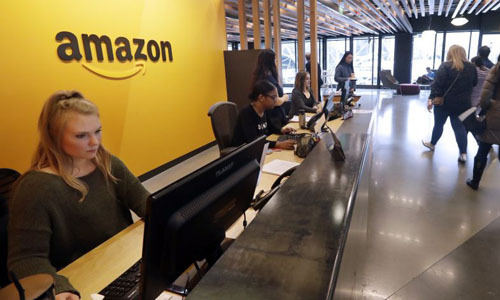 Major technology companies are making inroads into the healthcare market, with Amazon selling software that analyzes medical records for information physicians and hospitals could use to improve patient care. Meanwhile, Apple is negotiating with the U.S. Department of Veterans Affairs on software to allow veterans to transfer their health records to iPhones. The healthcare industry is a natural target for tech companies looking for new revenue channels amid digitization of patient records and pressure to cut medical costs without sacrificing care quality. However, medical record analysis is beset by technical challenges, with the University of California, San Francisco's Julia Adler-Milstein citing algorithms' difficulty identifying key data points because of misspellings, abbreviations, and doctors' idiosyncratic descriptions. According to Amazon, developers trained its data analytics software with deep learning to recognize how a doctor might record notes, and it demonstrated equal or better performance than other published initiatives. Researchers at the University of New South Wales (UNSW) in Australia have demonstrated a compact sensor for accessing information stored in the electrons of individual atoms. The team thinks quantum bits (qubits) built from electrons hosted on single atoms in semiconductors hold promise as a large-scale quantum computing platform; the approach involves generating qubits by precisely positioning and encapsulating individual phosphorus atoms within a silicon chip. This was complicated by the need to add in the various connections and gates required to scale up the atomic architecture. Integrating a read-out sensor into a control gate halved the minimum requirement for four gates for each qubit. Said UNSW's Prasanna Pakkiam, "By integrating a superconducting circuit attached to the gate, we now have the sensitivity to determine the quantum state of the qubit by measuring whether an electron moves between two neighboring atoms."